I study how Spy1’s role in cell processes, such as invasion and migration, during normal mammary gland development and how it is involved in breast cancer progression and metastasis. I use an in vitro 3D cell culture model as well as an exciting new in vivo 3D zebrafish metastasis model, allowing us to study Spy1 in more biologically relevant systems. 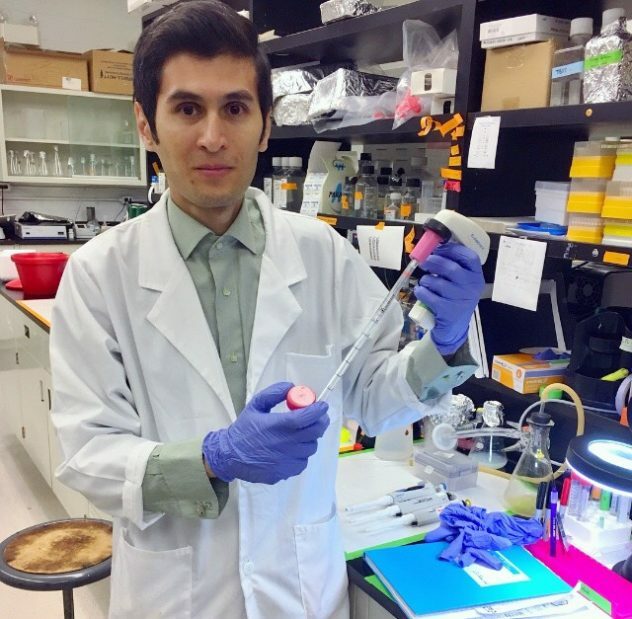 I am a Ph.D. student with interests in cancer and stem cell biology that include assessing diseased tissues and models of disease using modern microscopic techniques such as multicolour immunofluorescence and tissue microarrays. 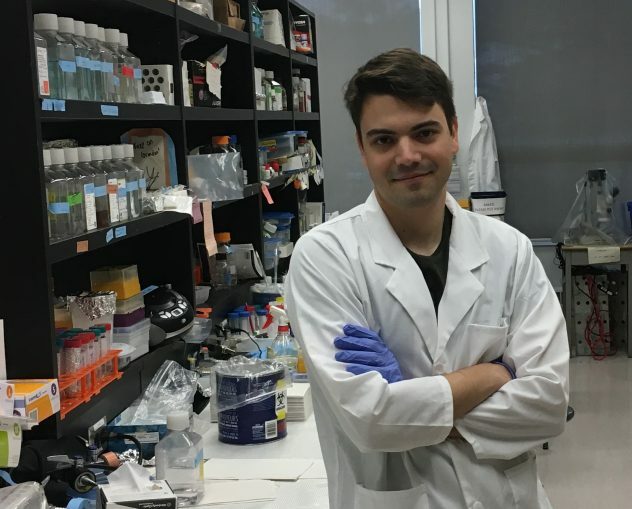 My work primarily focuses on the identification of Spy1-related cell cycle mechanisms that are potentially involved in neuroendocrine prostate cancer and triple negative breast cancer. In addition, I am interested in the role of androgen receptor in progression, linage plasticity and radio/chemo-resistance of prostate and breast cancers. 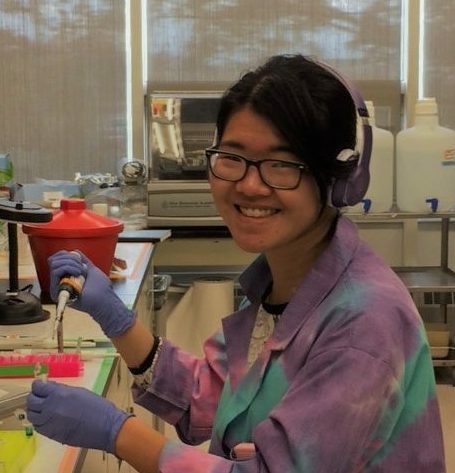 I study in vitro cell line models and in vivo animal models using a variety of cancer cell biology methods such as immunostaining, western blot and qPCR. 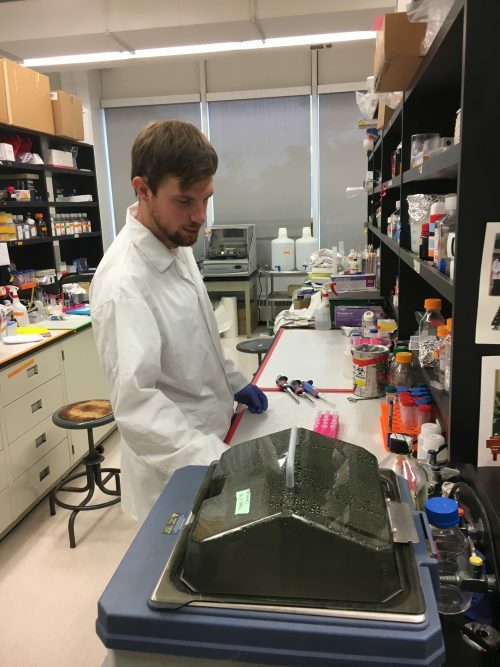 My research is focused on determining the mechanistic effects of the novel cell cycle regulator Spy1 in mammary development. I am specifically interested in the changes to developmental pathways and phenotypic effects that could draw similarities to tumorigenesis. I use in-vitro cell culture to manipulate levels of Spy1 and its downstream targets as well as an in-vivo mouse model. 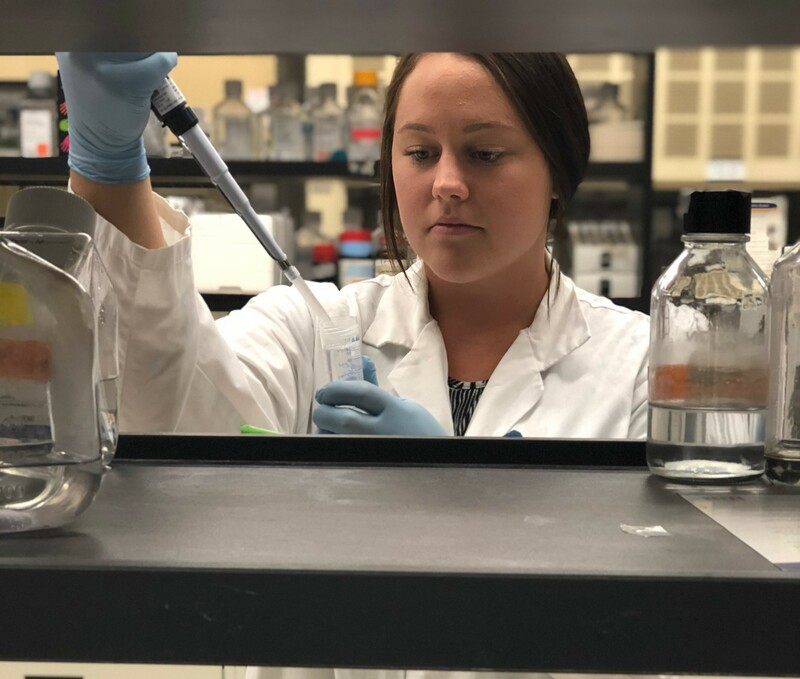 My research focuses on the use of synthetic cyclin dependent kinase inhibitors (CKIs) as a novel drug treatment for glioblastoma multiforme (GBM) in combination with other standard of care chemotherapies. I am also working on a stable Spy1 knockout GBM cell line using CRISPR/Cas9, which will be used in combination with the drug treatments. Additionally, I am using zebrafish as an in vivo model for a fast and cost-effective animal model. My research project focuses on the protein tuberin, which is a protein in the mTOR pathway that when mutated causes tuberous sclerosis. Specifically, I am interested in the binding pattern between tuberin and the mitotic cyclin, cyclin B1, and their interaction to act as a novel cell-cycle check at the G2/M phase. In addition, I am exploring the effects of the interaction between tuberin and the ERK pathway to better understand its role in tuberous sclerosis. I currently use in vitro methods and fly models to explore both of these aspects of tuberin interactions. Tuberin is a tumour suppressor that regulates the G1/S and G2/M phase of the cell cycle. My research project focuses on Tuberin’s interaction with the G2/M cyclin, Cyclin B1 and whether this leads to increased stability of the Tuberin protein. In addition, I am interested in whether this interaction aids in DNA damage repair through cell cycle arrest at the G2/M checkpoint. These will be addressed through in vitro methods, immunofluorescence and flow cytometry. Dissecting this interaction will help our understanding of cell cycle regulation and importantly provide clues to the mechanisms of the tumour disorder, Tuberous Sclerosis. 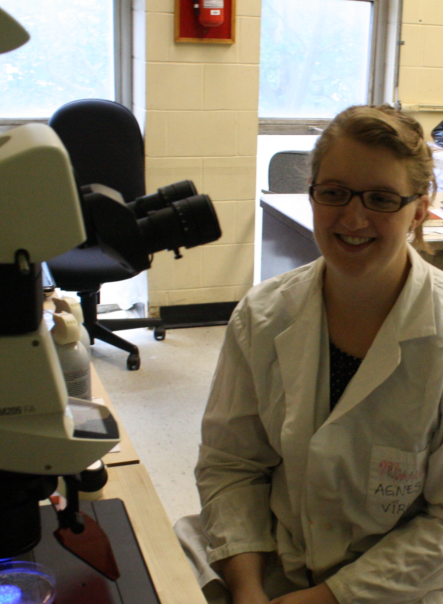 My research focuses on brain cancer, specifically glioblastoma multiforme. 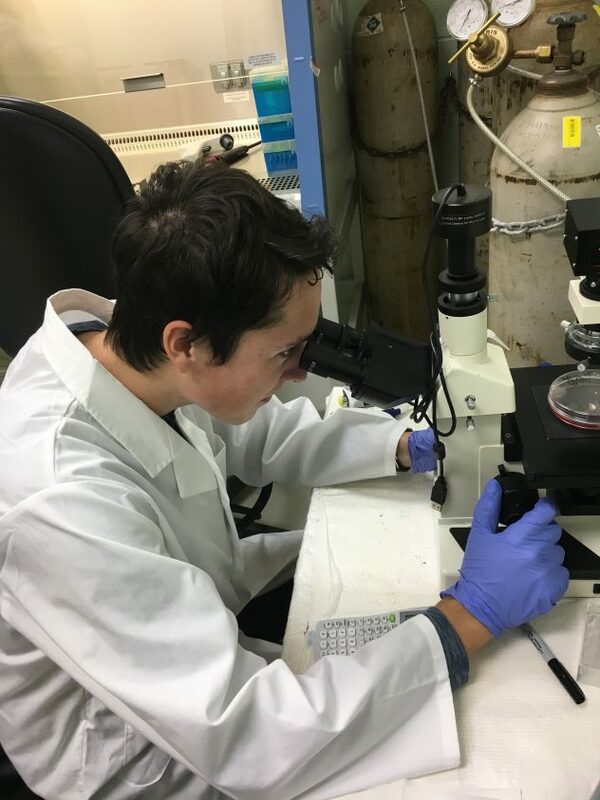 I utilize a brain tumor organoid model to quantify environmental and mechanical pressure-induced stress within the tumor mass and how it plays a role in brain tumor aggressiveness and therapeutic response. Additionally, I am exploring the relationship between the tumor rim and the normal surrounding tissue. 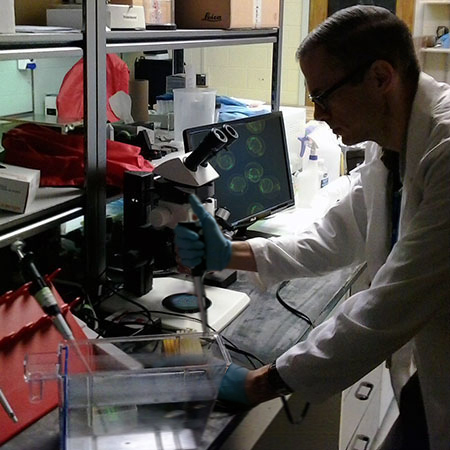 I use a variety of cancer cell methods such as in-vitro cell culture and immunohistochemistry.